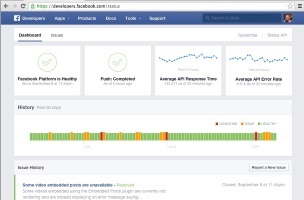 Facebook announced that it updated its service health dashboard for developers to give them more up-to-date information about the status of its developer services and application-programming interfaces. 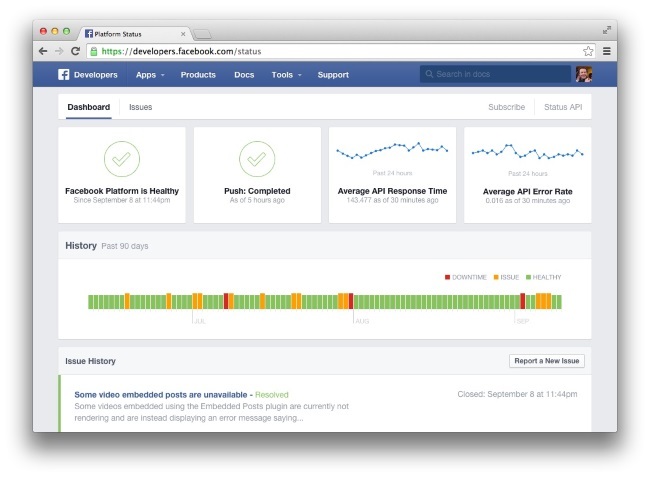 The status page will now display more granular and frequent updates on service issues in a more easily digestible format. Updates will be linked to the task for the issue, and you will be able to follow whether it is resolved or ongoing. Developers: What are your thoughts on the redesign?